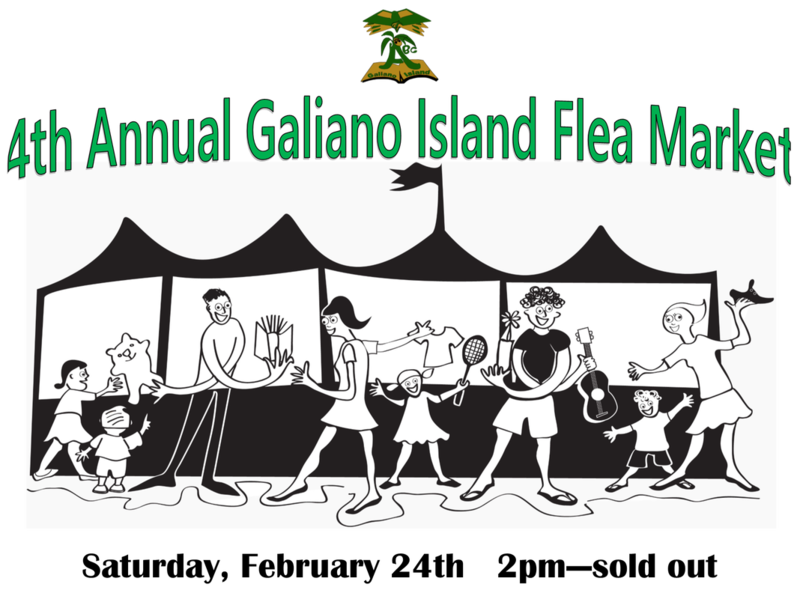 Join us Saturday 2/24 for our 4th annual Galiano Island Flea Market!! Lots of fun speaking English and buying and selling treasures. Starts at 2pm. Students should arrive early to set up their tables. Tell your friends and family to stop by! 3rd Annual Galiano Island flea market!! Join us this Saturday, March 4th for our 3rd Annual Galiano Island Flea market from 2pm until we quit. It's an event all students look forward to. Students and teachers will be selling their wares and practicing their English. Please make sure you come and shop! You won't regret it. Take a look at a video from our first flea market. Join us Saturday, October 29th to watch a Monster House and participate in our costume contest. 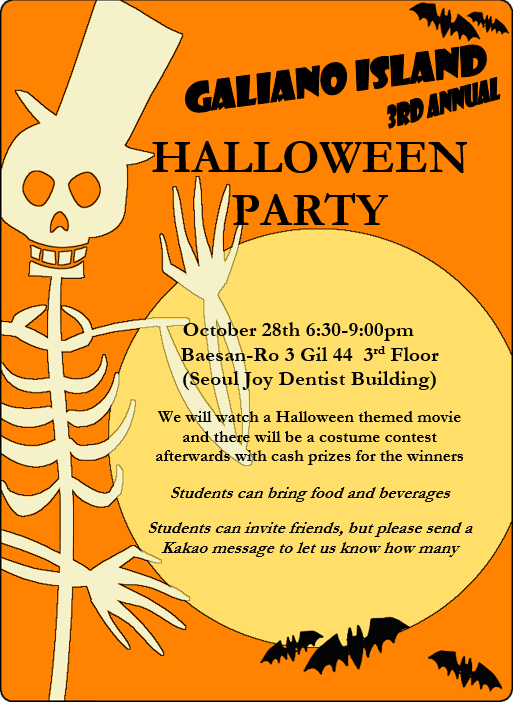 Prizes will be awarded for the best costume. Due to space, only students and siblings may attend the event (no friends this time). Please arrive at 5:30pm for a group photo and the movie will start at 6pm. Enjoy our video from last year! Movie Night - This saturday 5/28 from 7pm to 9pm. We will be watching ​​strange magic. bring snacks and friends! Movie Night -This Saturday 2016/3/12. Home 7pm to 9pm. 2nd Annual Galiano Island Flea Market! This Saturday 1/30 from 2pm to 6pm. It was a lot of fun last year with many things for sale. Bring what you would like to sell and let's have fun practicing English! You can check out our video from last year here.